February 2011 – MidwestAthleticConference.com – The Official Site of the Midwest Athletic Conference for mac news, mac scores and more. Minster’s Ross Heitkamp committed to play basketball at Anderson University. 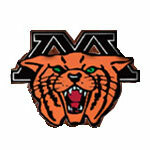 Minster’s Ross Heitkamp committed to play basketball at NCAA Division III Anderson University in Anderson, Indiana. By admin|2011-02-26T00:27:55-04:00February 25th, 2011|2010-11 College Signings/Verbals, Basketball Boys, College Signings/Verbals, MAC, Minster Wildcats, News|Comments Off on Minster’s Ross Heitkamp committed to play basketball at Anderson University. The top four individuals/relays in each swimming event and the top eight divers to the State Tournament at Canton. Eleven at-large swimming qualifiers will be selected on the basis of times recorded in all District Tournaments statewide. The top three individuals/relays in each swimming event and the top eight divers to the State Tournament at Canton. Eleven at-large swimming qualifiers will be selected on the basis of times recorded in all District Tournaments statewide. The top three individuals/relays in each swimming event and the top five divers to the State Tournament at Canton. Eleven at-large swimming qualifiers will be selected on the basis of times recorded in all District Tournaments statewide. Minster & Fort Recovery are ranked in the final AP Girls Basketball State Poll. The MAC has 2 schools ranked in the final AP Girls Basketball State Poll. Minster was ranked 5th in Division IV and Fort Recovery was ranked 12th in Division III. By admin|2011-03-19T00:21:17-04:00February 16th, 2011|Basketball Girls, Fort Recovery Indians, MAC, Minster Wildcats, News|Comments Off on Minster & Fort Recovery are ranked in the final AP Girls Basketball State Poll.